While we have a ton of costumes here, this is one of our favorites. So simple, yet so funny, and dare we say so comfortable? Yes, we do dare, because if you pair this Hair in Curlers Wig with a fluffy bath robe and even fluffier slippers, you will have the world’s comfiest costume. You can even step it up a notch by putting on a face mask before you leave the house, doesn’t that sound almost perfect? A robe and a healthy, rejuvenated face? Nothing is better. 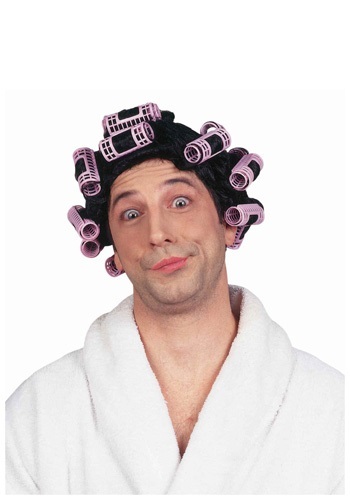 Whenever you walk into a room or party sporting this Hair in Curlers Wig, you are sure to attract double takes and laughter! People will be flocking to you, asking how your costume could be so comfortable yet so funny. Just remember not to smile to broadly along with your friends, or your face mask will crack!